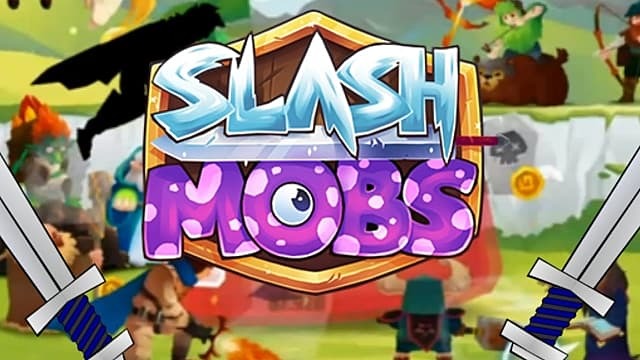 Slash Mobs is a tapper game, like Tap Titans, for both Android and iOS. 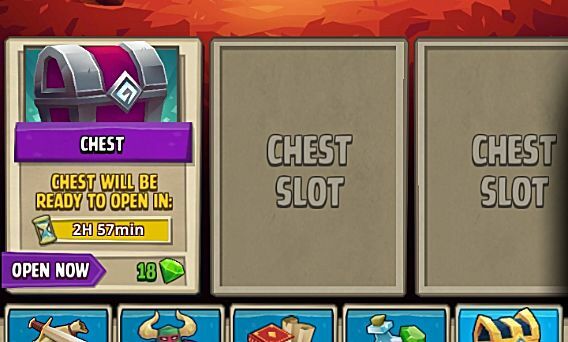 In this guide, I'll teach you how to generate and spend your gold in the most efficient way, so that you can progress through the game as easily and hands-off as possible. 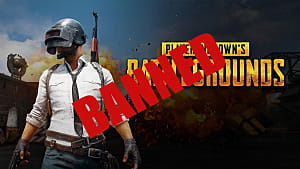 If you've yet to get into the game or are just starting, I'd first recommend that you play the game manually for a good 30 minutes or so to see if you'll actually enjoy it. As is with most tapper games, it's a game that you don't have to play actively but can play over a long period of time to reach the endgame. I know you love to do other things on your phone, but having the Slash Mobs app running and active is the first step to generating a fortune passively. I've come up with two ways to make this happen without it affecting your daily phone routine. If you've got an Android phone, MEmu can access your Slash Mobs account through Google and you can play it through your desktop. You can download and install MEmu, install the Slash Mobs app, and keep Slash Mobs up and running in a minimized window to passively earn your gold through Hero DPS. I'm on an i7-6300k and it takes around 5% CPU usage and 360 MB of memory to have Slash Mobs running in MEmu as a minimized window. 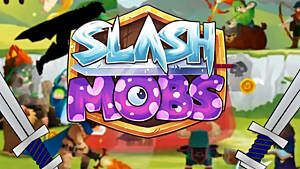 I've tried this with BlueStacks, but Slash Mobs is one of the many games that fails to launch. If you often have your phone away from you while charging, you can either manually launch it during that time or find an app to do it for you. On Android, Plug In Launcher can do exactly that. iOS is a little trickier and will require jailbreaking. 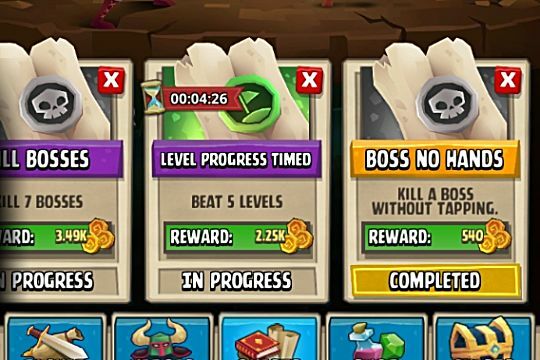 Quests are an extremely fast way to make bonus gold, but not all of them can be completed on autopilot. Some quests will require a little manual effort. 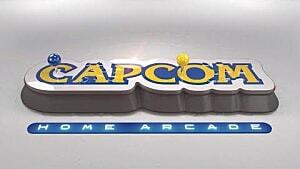 For example, there are some quests that require you to purchase hero levels or beat a certain number of bosses. Regardless of if you plan to complete them or not, you lose nothing by accepting all six of your daily quests. Just do it. If you want to complete the manual ones, have at it. It takes only a second to accept these, and it's a shot at free gold with no downside. 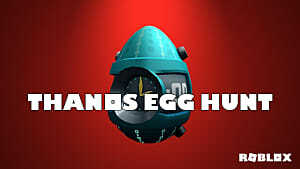 As you complete quests, they will become harder and the prizes more rewarding. Chests drop as you defeat bosses. These chests can contain equipment and other gear that will multiply your tap damage. You can have three chests at any given time, but only one can be unlocking. To maximize on efficiency, always have one ticking down. Don't waste your gems unlocking them. As you progress late into the game, these will take days to unlock. Further, it can takes weeks. Going a day or two without having a chest ticking is really losing out. 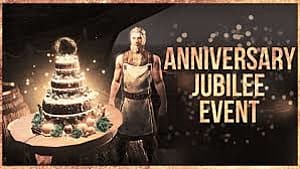 Remembering to log in and claim your daily bonus is important every day because the prizes get better and better for consecutive days that you've logged in. 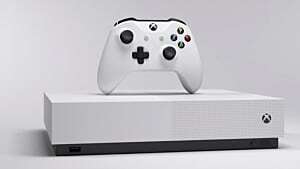 A streak of five days and then missing a day means that your reward streak will reset and your next day's reward will be smaller. 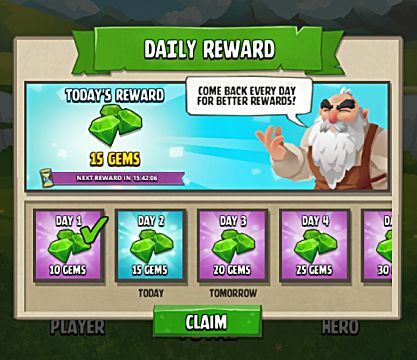 The daily reward screen even tells you what each day's reward will be. The most days you can streak in a row is seven. On the seventh day, you're given 15 shards (which can later assist you in dungeons). Until you're generating millions of gold per day, prioritize purchasing new heroes. The obvious reason you want to do this is because you can have multiple heroes assisting you at any given time. Three heroes contributing 8 DPS (a total of 24) will naturally be better than having one dealing 8 DPS and then upgrading your second to deal 12 DPS (a total of 20). Additionally, your heroes can be temporarily knocked out of battle. Not putting all of your eggs into one basket is a big help should this occur—and it will, often. Don't waste too much gold upgrading your tap damage when you're first starting out. Playing passively means that your heroes do the work for you. The only time you'll ever need to manually tap along with your heroes is to progress through bosses. You're going to have to upgrade your tap damage to progress past some of them, but always try to have your Hero DPS at least 10 times higher than your Player DPS. You'll eventually get to the point where your heroes can defeat bosses alone. 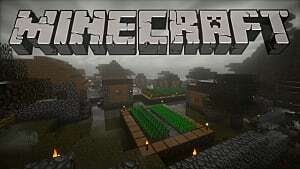 This is advice for as you progress further and further into Slash Mobs. Getting to this step is going to take you some time. Eventually, you're going to get to a point where you have more gold than you know what to do with. 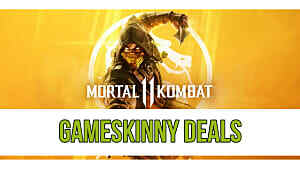 Nonetheless, I'm here to tell you how to get the most bang for your buck! When you don't have a new hero available for purchase, Chris Gopher is by far the most gold-efficient hero to upgrade. 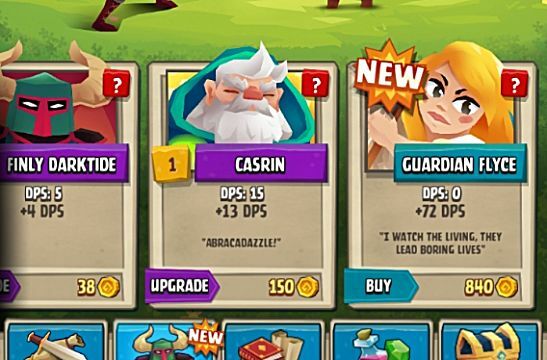 To upgrade him, just find him in the Heroes menu and tap on him. 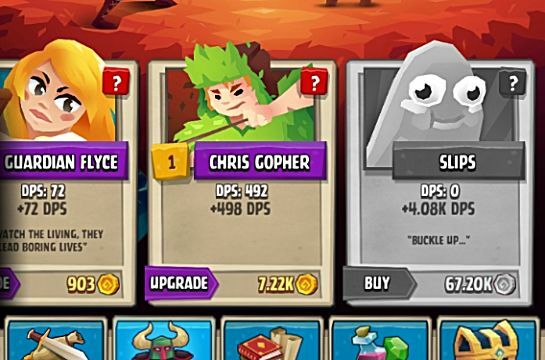 Around level 180, Chris will do over a billion damage per tap. To compare, Finley Darktide (your first hero to purchase) only does 600 million damage per tap at level 300. For tap damage, you shouldn't need to go further than Decimate. It's the second upgrade, just past Rage. 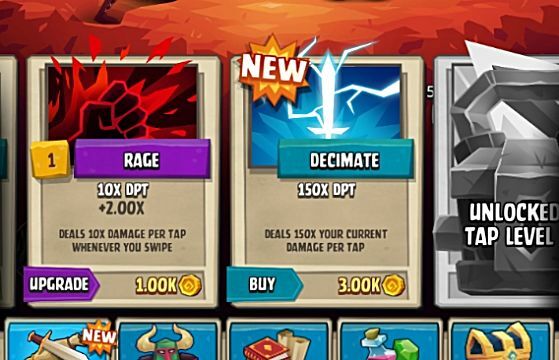 Player upgrades use multipliers, so there's a massive difference between Rage (a multiplier of 10) and Decimate (a multiplier of 150). With Decimate and your upgraded Chris Gopher, you should stomp through the game easily. You'll begin generating trillions of gold per day. When you're at this level of the game, you can throw your gold at anything. Experiment and have fun. Follow these steps and you should have at least a few million gold your first week. It only gets easier from there, and eventually you'll never even have to lift a finger. 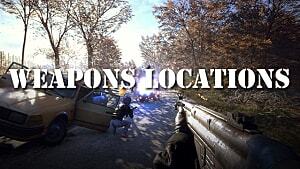 You'll reach a point of critical mass where it takes one second to defeat all enemies. Doing bosses won't even be worth it. Keeping your game running will result in coming back to trillions per day.